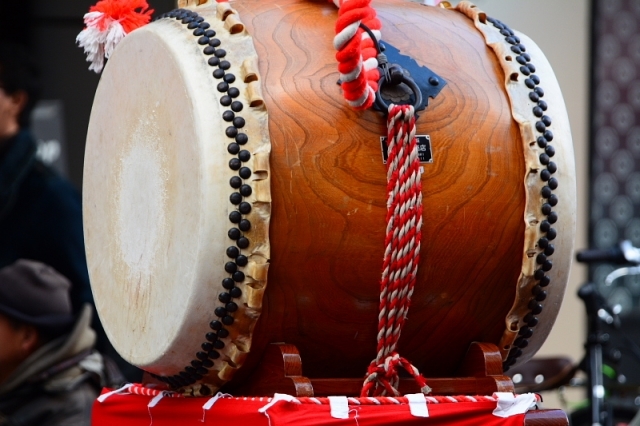 Among various traditional Japanese musical instruments, by far the most popular one is Wadaiko, a Japanese drum. 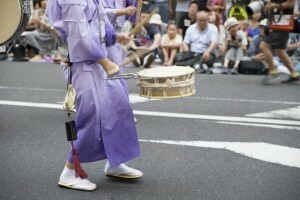 Recently, a Japanese drum group succeeded in overseas performances, winning a rave review. Wadaiko is one of the percussion instruments and a general term for various drums in Japan, used in festival, religious ceremony held at a shrine and traditional performing arts. 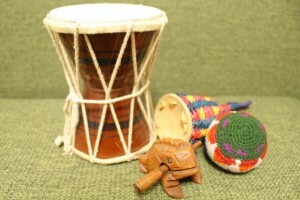 A trunk is made of wood and a leather is used for covering the trunk, vibrating to make sounds. A drum beaten with a drumstick is called “taiko” and a drum beaten by the hands is called “tsuzumi.” Japanese drums have such a long history that in the Jomon period, more than 3000 years ago, they were used as a tool for communication. 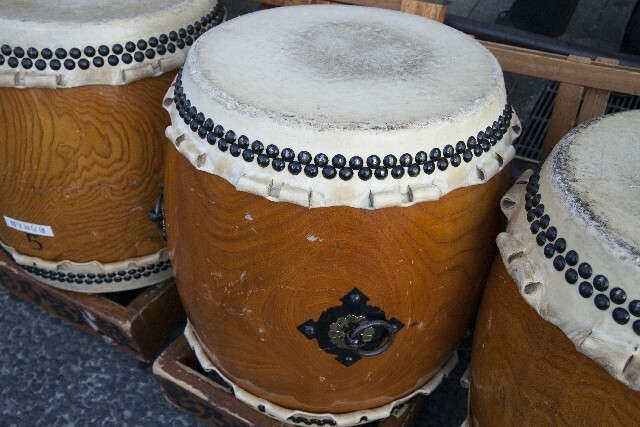 Japanese drums are categorized into three types. Okedo-daiko is a drum that leathered metal hoops are attached to the tub body by rope for tuning. It’s lighter than Nagado-daiko, an elongated drum like a wine barrel, and used to play drum sets as it is available in a variety of sizes. 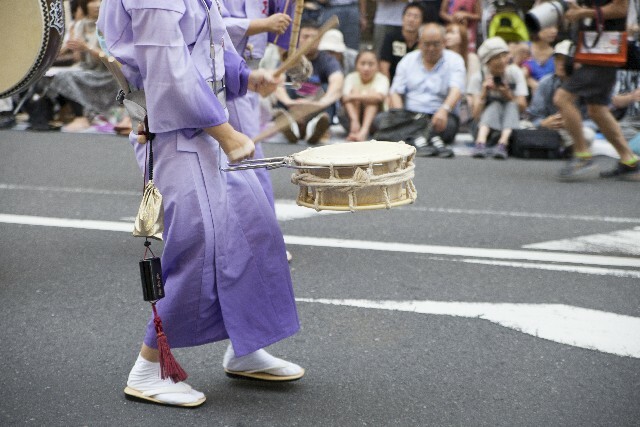 Smaller Okedo-daiko are also played by hanging from the shoulder with a strap. Its portability makes the player move freely so that we can incorporate a dance into performances. Moreover, there is a Tsukeshime-daiko, popularly used in traditional arts such as Noh, Kabuki and Min’yo (a Japanese traditional music). Though it appears similar to Okedo-daiko, Tsukeshime-daiko hit the high notes by having thicker heads to make clear sounds on a stage. There are all sorts of Japanese drums and different types of drums are used by scenes. Then, let’s watch the Wadaiko performance!